The final of the Super Middleweight edition of the excellent World Boxing Super Series is finally upon us. Unlike the smooth progress of the Cruiserweight tournament, the Super Middle version has had its share of hiccups and confusion. Perhaps it’s fitting then, that the showpiece final between two Englishmen takes place on Friday (28th September) in the Saudi Arabian port of Jeddah. George Groves, the WBA (Super) Champion, takes on the unbeaten and dangerous Liverpudlian, Callum Smith for the right to own the Muhammad Ali Trophy. The prestigious Ring Magazine belt will also be on the line, as well as Groves’ belt. ITV Box Office is the place to see the action unfold in the UK. Here I preview the contest. The final of the World Boxing Super Series pits seeds one and two together in a fascinating battle of Britain. Hammersmith’s “Saint” George Groves has been impressive thus far in taking care of his side of the draw against two fellow Brits, while Liverpool’s Callum “Mundo” Smith has beaten continental opposition from Sweden and Holland to advance to the big one. Groves has matured into his role as World Champion following his coronation at Bramhall Lane, Sheffield in May last year. He turned professional in November 2008, following a successful amateur career. After eight straight wins, six via knockout, he challenged tough Ghanaian, Charles Adamu for the Commonwealth Super Middleweight Title at the Manchester Arena in April 2010 on the big David Haye v John Ruiz bill. Groves impressed, knocking Adamu down in rounds one and four, before stopping his man in the sixth to pick up his first professional Title. After a US debut in Las Vegas (Stopping Alberto Contreras in six), Groves returned to the Manchester Arena to defend his Commonwealth crown. Tough Scot, Kenny Anderson took the November 2010 fight at short notice, but troubled Groves throughout the contest, knocking him down in the third round. Groves rallied to pile on the pressure in round six forcing the referee to intervene on Anderson’s behalf. A tick over fight in Huddersfield followed, before Groves had his first taste of big time experience. He would meet former amateur team mate turned bitter rival, and British Champion, James DeGale in May 2011 at the O2 Arena, London. Groves had beaten DeGale in the unpaid code, and repeated the trick by eking out a split decision win by one point on two cards, with the third being a draw. It really was a nip and tuck affair. This was a springboard for Groves who improved with every fight. Paul Smith was stopped in two rounds at Wembley Arena, before Francisco Sierra was stopped in six in San Jose. Groves returned to London, this time at the ExCel, to widely outpoint the road warrior that is former IBF Light Heavyweight Champion Glen Johnson at the back end of 2012. 2013 would prove to be a busy year for Groves. Three wins in the space of just over two months against Dario Balmaceda (TKO3), Baker Bakarat (TKO2) and Noe Alcoba (TKO5) installed “Saint” as the IBF mandatory, and he would meet WBA and IBF Champ Carl Froch in Manchester in November 2011. Groves changed trainers in the build up from Adam Booth to Paddy Fitzpatrick. 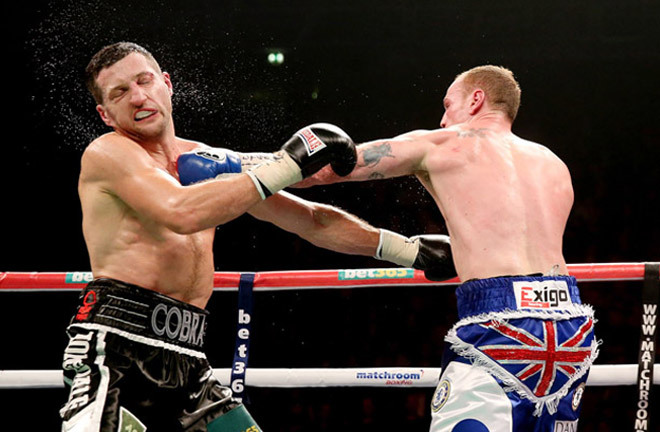 Froch dismissed Groves as a challenger and was under the impression it would be an easy night’s work. He was sadly mistaken as Groves deposited the Nottingham man onto the canvas in the first round. Groves was inspired and had several successes, before Froch started to slowly turn the tide in the middle rounds. Going into the ninth round, Groves was ahead on all three scorecards, before the fight reached an unsavoury conclusion now etched in folklore. Howard Foster stepped in, prematurely to the masses, to stop Groves in front of a shocked crowd. The rematch was inevitable, and the demand was huge. Wembley Stadium was the only venue to house such a grudge rematch, and the two did it all again in May 2014. This time Froch left no doubt by knocking Groves out in the eighth round, when in front on one card by three points, and behind on the other two cards by one. Groves rebuilt by winning the European Title in a tough tussle with Frenchman Christopher Rebrasse four months later, and backed this up with a seventh round stoppage win against American Denis Douglin to close out the year. 2015 would see Groves receive a third crack at world honours, travelling to Las Vegas to take on WBC Champion, Badou Jack. After a nightmare opener, where he was dropped, Groves fought back admirably, but lost a split decision to the Swede. Trainer Fitzpatrick was promptly dispensed of, and Shane McGuigan came on board to re ingite Groves’ career. Groves is now seven unbeaten under McGuigan’s tutelage, beginning with a fifth round stoppage of Andrea De Luisa in London in January 2016. David Brophy (KO4), Martin Murray (Unanimous) were also beaten, before Eduard Gutknecht was widely outpointed at Wembley Arena, suffering brain damage post fight, that Groves still bears the emotional scars of. A fourth World Title shot arrived in May 2017. The tough Fedor Chudinov was the opponent for the vacant WBA (Super) Super Middleweight Title, and Sheffield United FC would be the venue on the Kell Brook v Errol Spence card. In a thriller, where Groves’ jaw was broken in the third, he made it fourth time lucky by stopping Chudinov on his feet in the sixth to finally become a World Champion. He has grown into this status more and more since, entering the World Boxing Super series as the number one seed. Jamie Cox was to be his quarter final opponent, and he was dispatched with a painful body shot in four rounds. 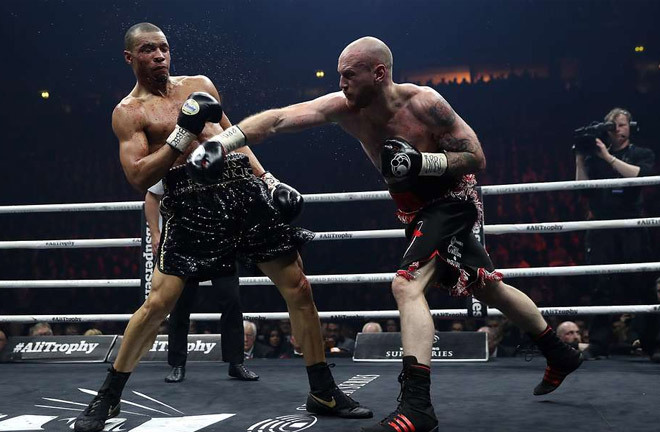 This set up a mouth-watering semi-final against the brash Brightonian, Chris Eubank Jr. Groves stamped his authority early on in Manchester, and pounded out a comfortable points win to make the final in the Middle East. He faces a young, hungry, unbeaten fighter on Friday in Saudi Arabia, in the shape of Liverpool’s Callum Smith. Smith turned professional in November 2012, joining his three other brothers, Paul, Liam and Stephen in becoming professional boxers. Liam has gone on to become WBO Super Welterweight Champion, while Stephen and Paul have both challenged for World Titles, and had domestic success. All four have been British Champion at some point in their careers. Callum is rated the best of the four brothers by his own brothers, so the potential and pressure on him is high. Callum defeated Dan Blackwell over four rounds on debut in Nottingham. After the usual diet of continental journeymen, Smith captured the English Super Middleweight Title by stopping Patrick Mendy inside a round, which made a lot more people sit up and take note. Six more fights down the WBC International route followed, before “Mundo” outpointed former World Title challenger, Nikola Sjekloca over twelve in November 2014. After a one round blowout win over Oleg Fedotovs, Smith outscored common opponent Christopher Rebrasse to pick up the WBC Silver Title, enhancing his ranking with the governing body in the process. Paul Smith then vacated his British Title, allowing Callum and Rocky Fielding to contest it in an all Liverpool dust up at the Echo Arena in November 2015. 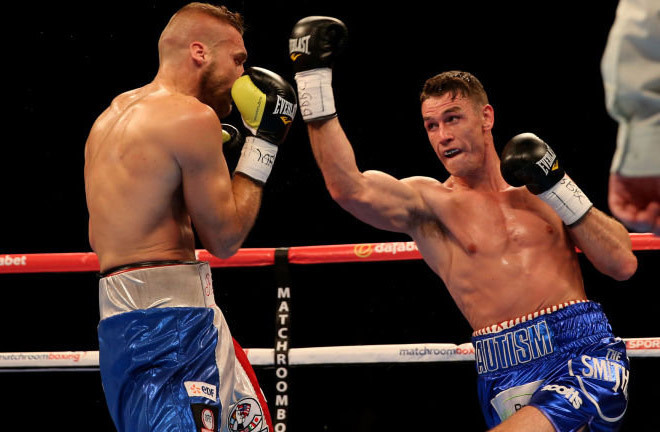 Smith overwhelmed the hapless Fielding, stopping him inside one round. Five months later at the same venue, Smith picked up the European Title with another first round stoppage of the usually durable Hadillah Mahoumadi. In the three fights following this win, Smith appeared on big fight undercards, namely Bellew v Makubu at Goodison Park, where he beat Cesar Reynoso (TKO6), Golovkin v Brook at the O2, beating Norbert Nemesapati (RTD6) and finally on the Joshua v Molina bill in December 2016 in Manchester, knocking out Luke Blackledge in ten in defence of his British Title. On the cusp of a World Title shot, Smith was entered into the World Boxing Super Series, and seeded second for the tournament. He met Swede Erik Skoglund, coming down from Light Heavyweight and unbeaten in 26, in Liverpool in the first quarter final. Early on, Smith was constantly outclassing his opponent. However, Skoglund got himself into the fight in the middle rounds behind his jab, bloodying Smith’s nose. Smith would come on strong again late in the fight, scoring a knockdown in round eleven and earning a clear unanimous decision, advancing to the semi-finals. The semi-final should have pitted Smith against German, Jurgen Braehmer, but the German pulled out of the fight at less than a week’s notice due to illness, leaving the tournament in chaos. 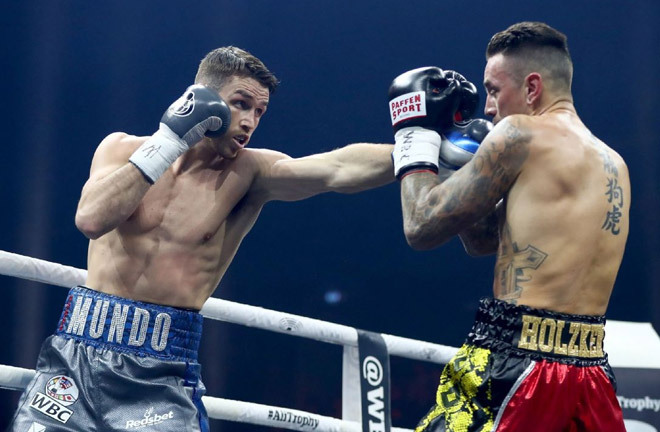 Unknown and unbeaten Dutchman, Nieky Holzken stepped in for the contest in Nuremberg, and did well enough before being comfortably outscored by Smith. This sets up a battle of Britain at the King Abdullah Sports City in Jeddah for the Muhammad Ali Trophy, as well as the various belts on offer. Although Smith is a precocious talent, I think Groves is in the form of his life, and I back the Hammersmith man to come out on top this weekend. Groves is a rangy and spiteful puncher, and I expect him to put heat onto Smith like he has never felt before. 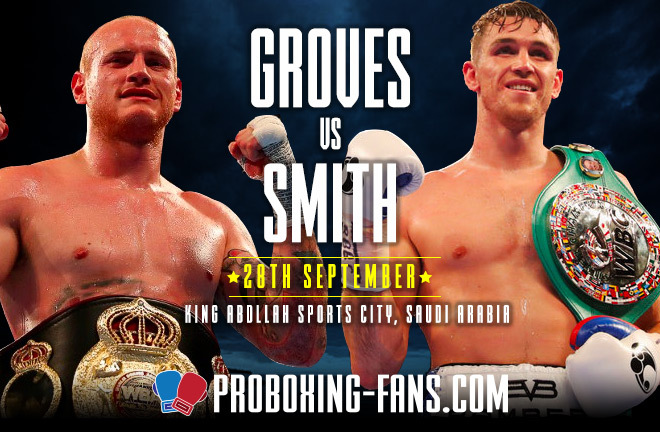 Smith will have his successes I feel in short, sharp bursts, that could buzz Groves, but I think George will have just too much at this stage of his career for “Mundo”, and I think he can take a points decision win in a competitive fight.